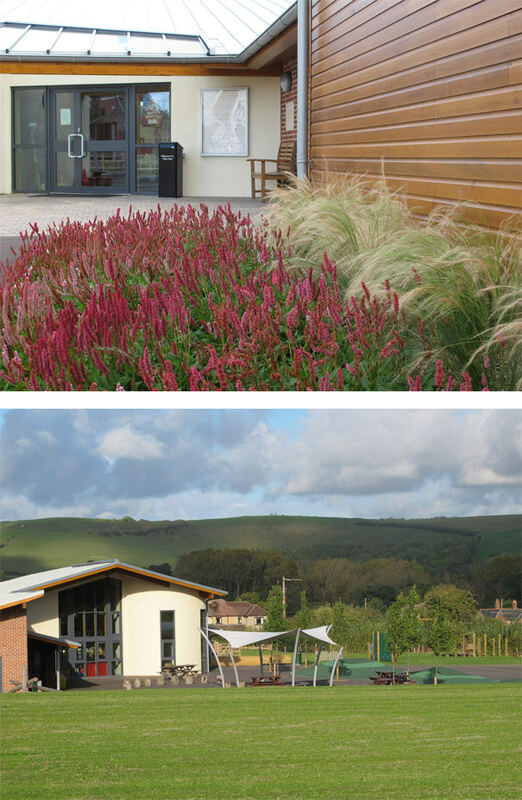 A small new build primary school in rural Dorset, Shillingstone Primary was opened in November 2010 to replace outdated facilities elsewhere in the village. Indigo undertook the hard and soft landscape design and oversaw the construction of the scheme on site. Key to the design was the integration of the scheme with the surrounding landscape, an element directly reflected in the rubber surfaced play mound which represents the surrounding hills and forms a central feature of the playground.